Sport collection. 21 items, assortment of photos and signature pieces. 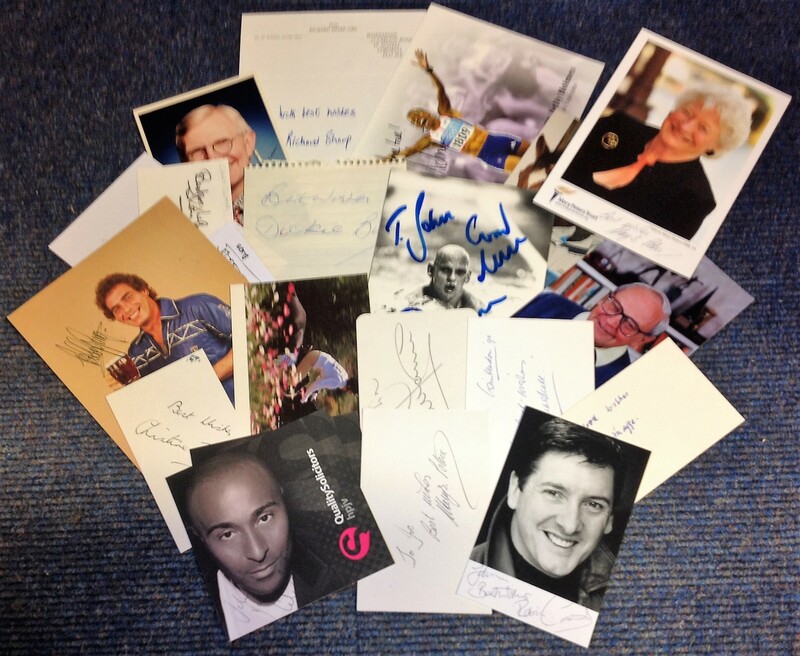 Some of names included are Bobby George, Harry Carpenter, Peter Alliss, Dickie Bird, Chay Blyth, Duncan Goodhew, Dennis Taylor, Kelly Holmes, Richard Sharp, Colin Jackson, Robin Cousins, Mary Peters and more. Some duplication and dedicated. Good Condition. All signed pieces come with a Certificate of Authenticity. We combine postage on multiple winning lots and can ship worldwide. UK postage from £3.99, EU from £5.99, Rest of World from £7.99.